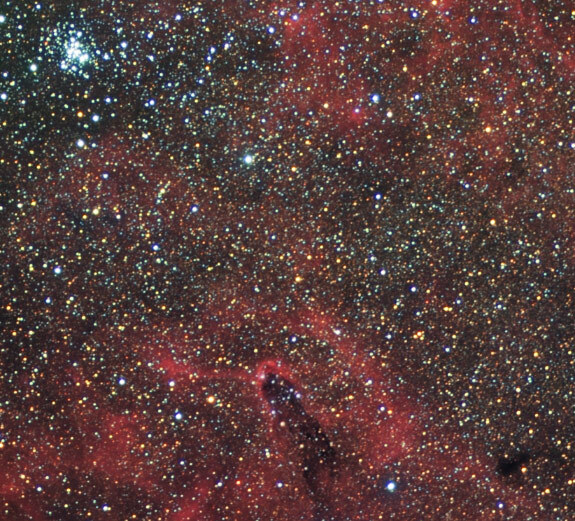 The area around the open cluster NGC6231 is embedded in huge emission nebulae, right from the center is IC 4628, a beautiful, arc-like rim of nebulosity. 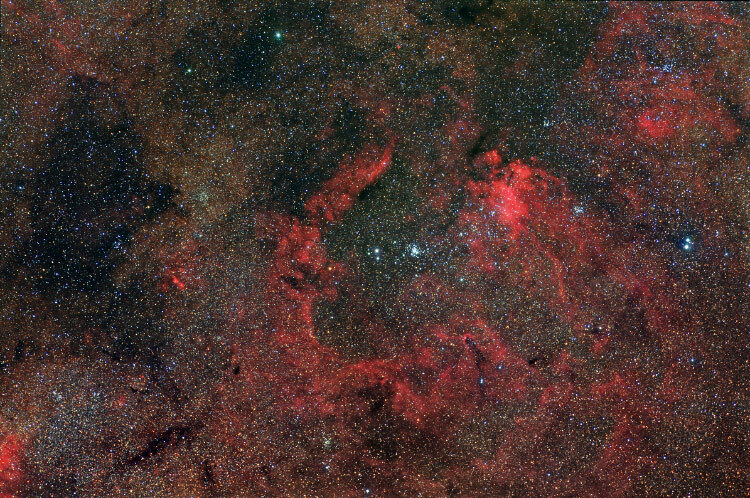 The image is centered on the tail of Scorpius (from Zeta- to Mu-Scorpii). The nebulae are quite faint and often have been overlooked because of it, even by southern observers. A closeup at IC 4628 can be seen here. The distance to these nebulae is approx. 5000 light years. North is right.